Sudoku is a logical puzzle game designed to played by single player. A Classic Sudoku grid consists of 81 cells put into 9x9 square, so that each row and column contains 9 cells. These cells are further divided into 9, 3x3 outlined square with each such square containing 9 cells. 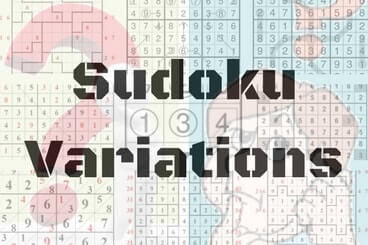 On this website I have published many different variations of Sudoku puzzles. These puzzles can be found under following Sudoku series. 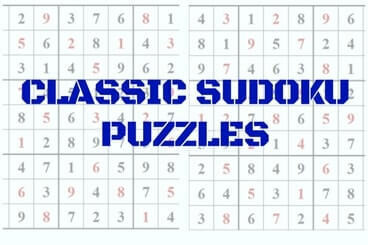 However here I am putting the links of these Classic Sudoku puzzles which is published in above mentioned Sudoku series. Following is the list of 9x9 Classic Sudoku published on this website. Place a digit from 1 to 6 into each of the empty cells so that each digit appears exactly once in each row, column and outlined 2x3 box. Following is the list of 6x6 Classic Sudoku published on this website.